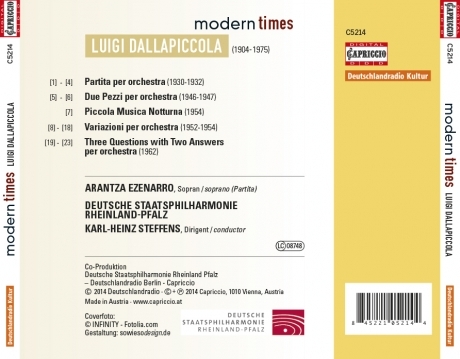 Together with Giorgio Federico Ghedini and Goffredo Petrassi, who was also born in 1904, Luigi Dallapiccola was the most significant composer of the second generation of Modernism in Italy, following Ottorino Respighi, Ildebrando Pizzetti, Alfredo Casella and Gian Francesco Malipiero, and undoubtedly the most successful and famous among them. He first became internationally well-known with the Partita per orchestra, written at the beginning of the 1930s, which was premiered on 22 January 1933. 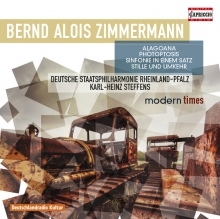 His music now became increasingly more chromatic and, fascinated by Anton Webern and Alban Berg throughout his life, he discovered the twelve tone technique, which he as an Italian explored in a way of his very own, deliberately retaining strongly diatonic links and lyrical naturalness. 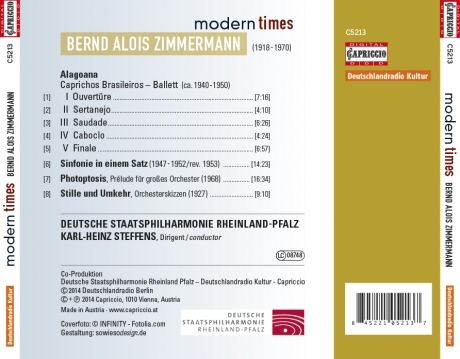 With this second CD of the new CD-Edition “modern times”, Karl-Heinz Steffens and the Deutsche Staatsphilharmonie Rheinland-Pfalz take care of the still not very famous orchestral pieces of this composer.